Chunni Devi is one among crores of people in India struggling to navigate a host of vulnerabilities to eke out a living. A lack of dignified employment, non-payment of adequate wages on time and insufficient food mean that the family of four is in a dicey situation and staring at starvation. Here are some examples to illustrate how the manipulation of information is leading to ethical and legal violations. The MGNREGA is a demand-driven programme, i.e., work must be provided within 15 days of demanding work failing which the Centre must pay an unemployment allowance (UA). A UA report is generated but rarely implemented. 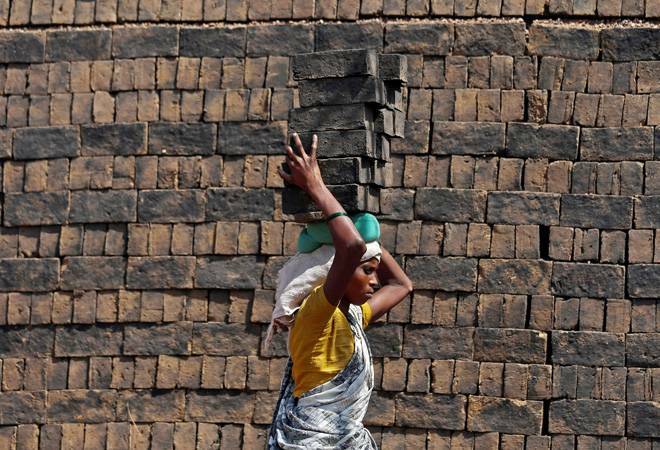 Numerous ground reports across the country suggest that because of a funds crunch, field functionaries do not even enter the work demanded by labourers in the MGNREGA Management Information System (MIS). This is information suppression at the source. Lack of offline alternatives to capture work demand from labourers means that data on the MIS are being treated as the gospel truth. Be that as it may, even this under-registered demand is being dishonoured by the government. Although work demand data (in person days) and employment-generated data are available at a panchayat level, aggregate data at the national level are only presented for employment generated. Thus, under-registered national demand is captured but intentionally not reported. By doing this, the Central government is trying to hide its violation of the extent of under-provision of work. Chunni Devi’s cynicism is a case of corroboration at the implementation level of who the victims of the government’s manipulation eventually are. Contrary to the Central government’s claims of there being more than 90% payments on time, we found in a recent study of more than 9 million transactions that only 21% payments were made on time in 2016-17. The trend continued in 2017-18. Further, the Central government alone was causing an average delay of over 50 days in the disbursement of wages to labourers. The mandate is to pay wages within 15 days else workers are entitled to a delay compensation. While this delay by the Central government (called stage 2 delays) is captured in the system, it is intentionally suppressed to avoid paying delay compensation — another violation of the Act. In an internal memorandum dated August 21, 2017, the Union Ministry of Finance acknowledged the accuracy of the study’s findings and stated that delays in payments were directly linked to lack of “[un]availability of funds”. This glaring lacuna was argued in the Supreme Court in a recent PIL (Swaraj Abhiyan vs. Union of India) where the judgement categorically stated: “The wages due to the worker in terms of Stage 2 above must be transferred immediately and the payment made to the worker forthwith failing which the prescribed compensation would have to be paid. The Central Government cannot be seen to shy away from its responsibility… The State Governments and Union Territory Administrations may be at fault, but that does not absolve the Central Government of its duty”. In court, the Central government, agreed to calculate Stage 2 delays, and pay compensation, but the judgement (dated May 18, 2018) has still not been implemented. This not only reflects contempt of court by the Central government but is also an insensitive assault on people and a deliberate hiding of the truth. In the process, countless lives are getting silently buried in fabricated statistics. Such falsification and a manipulation of information by the BJP government reminds one of Václav Havel’s essay “The Power of the Powerless”. Written in protest against the repressive regime of erstwhile Czechoslovakia, it says: “Because the regime is captive to its own lies, it must falsify everything. It falsifies the past. It falsifies the present, and it falsifies the future. It falsifies statistics.” The crisis that Chunni Devi and others are in becomes entangled in a web of technicalities and a din of dry numbers. While the government is busy falsifying realities, starvation and agrarian distress, the slow death of the MGNREGA continues.